In 1885 a civil war in Colombia resulted in stamp shortages, especially on the northern coast and Panama. 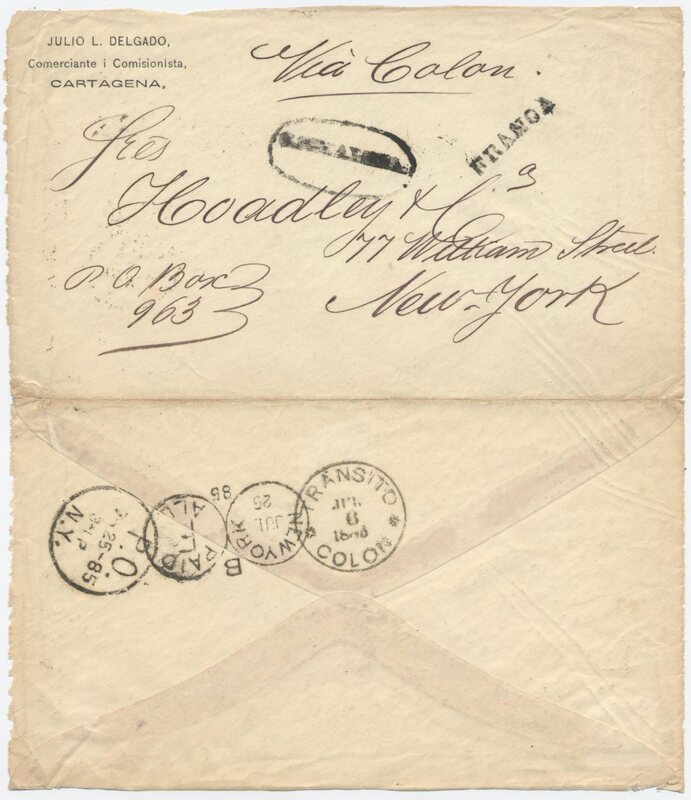 This undated cover, mailed at Cartagena, transited Colon July 6th 1885. Covers with markings such as the one here indicated payment of postage so postage due was not assessed. Similar covers also exist mailed from Panama at this time.